Researchers at Queen Mary University of London have shown that stem cell behaviour can be modified by manipulating the nanoscale properties of the material they are grown on - improving the potential of regenerative medicine and tissue engineering as a result. Previous research has showed that stem cells grown on hard substrates go on to multiply but do not differentiate: a process by which the cells specialise to perform specific functions in the body. In contrast, stem cells grown on softer surfaces do go on to differentiate. In this new research, appearing in the journal Nano Letters, the researchers used tiny material patches known as nanopatches to alter the surface of the substrate and mimic the properties of a softer material. "By changing the surface properties like the shape of the substrate at the nanoscale level, we tricked the stem cells to behave differently," explained co-author Dr Julien Gautrot, from QMUL's School of Engineering and Materials Science and the Institute of Bioengineering. The team tested different sizes of nanopatches - from 3 microns to 100 nanometres (about one thousandth of the diameter of a hair). 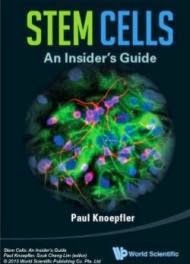 The stem cells behaved as if they were on a soft surface when in contact with the smallest patches because they can't firmly grip them. "This development will be useful when there's a need to create a rigid implant to be inserted into the body. Potentially, such nanopatches could provide a soft touch to the surface of the implant so that cells from the neighbouring tissues are not perturbed by such a hard material." added Dr Gautrot.